Version 16.6.0 Click to Register this Product Now! Best Reader, the software for mastering speed reading in two weeks. After 15 one-hour studies with the Best Reader you will increase your reading speed up to 10 times, improve your reading comprehension and develop your memory. Set of 3 games, which can help you to practice fast typing. 1. Drop Down - words drop from top. 2. Fast Run - try to type word before man crosses the field. 3. Get Fly - words fly upward moving from side to side. Pratique com simulados do detran e prepare-se para a prova de legislação. Simulado DETRAN com questões semelhantes as da prova oficial. Teste seus conhecimentos e arrebente no exame de legislação do DETRAN. Version V.2010 Click to Register this Product Now! Version 2010 Click to Register this Product Now! PowerWord is the choice of over 20 million users worldwide as a multimedia dictionary and encyclopedia for learning Chinese and English, as well as for assisting in English-Chinese translations. Designed for all levels of users. Music Fundamentals, Ear Training, Music Theory. Build musicianship skills. Master notes, scales, intervals, chords by eye and ear. Study piano, guitar, violin, viola, cello, or bass. For beginner to advanced. Windows 7, Vista, and XP. Version 7.2.48 Click to Register this Product Now! Cowboy with Keyboard is a typing tutor for Windows. It is not simply a program, it is a game... This program will teach you to type on keyboard with the help of so named "blind" method. Process of the education very amazing and thrilling. Pupil Report Writer can easily create, modify, retrieve & present groups of reports with 26,000+ statements covering subjects from early years to year 10. 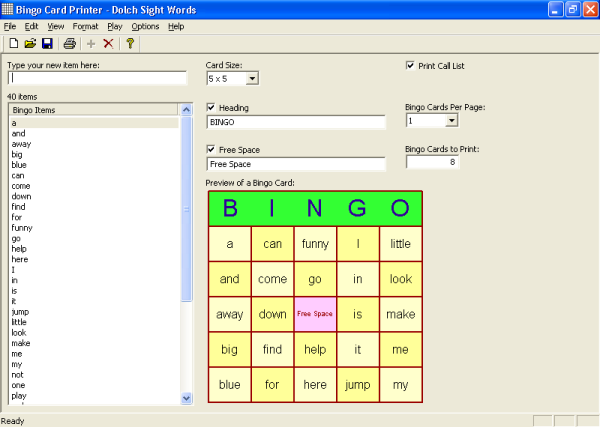 Has auto generation, spell check, multi teacher merge, photo & School Reports Manager. Version 3.4.4 Click to Register this Product Now! This computer based training covers RFID (automatic identification technology) basics. Includes a self -tests all free, no registration require. Great for employee training and supply chain training, give copies to your friends. Is your reading holding you back? RocketReader has a series of dynamic exercises to quickly improve your reading speed, comprehension and stamina. With 15 minutes of training a day you make remarkable progress within 10 days! Try it now for free! Multi-featured cool Ebook. Allows search by name. A collection of original limericks to teach the states and capitals of USA. Includes a limerick generator. FlashPoint Personal is an easy flash authoring tool let you convert PowerPoint to flash.Easy of use, accurate conversion, and small size; Fully functional version, for personal, education and non-profit org. only. Supports Office 2007 now. Brain game KGB'secrets Advanced MultiUser Contest Edition. This self-development game is based upon some of secret technologies. It will help you to develop your attention, memory, logics, visual processing speed and much more for a short term. Brain game KGB'secrets MultiUser Contest Edition. This self-development game is based upon some of secret technologies. It will help you to develop your attention, memory, logics, visual processing speed and much more for a short term. Brain game KGB'secrets Advanced Personal Edition. This self-development game is based upon some of secret technologies. It will help you to develop your attention, memory, logics, visual processing speed and much more for a short term. Brain game KGB'secrets Standard Personal Edition. This self-development game is based upon some of secret technologies. It will help you to develop your attention, memory, logics, visual processing speed and much more for a short term. Inspiration Tool is one more source of inspiration what can be used daily or even hourly with no expenses. It shows quotes from great and successful people. Version 2.38.0 Click to Register this Product Now! Program that creates animated timelines quick and easy. Add Events. Add Timeframes, Choose Style, Present! It's that easy to capture the attention of your audience with an animated timeline. Version 3.4.3 Click to Register this Product Now! SpeedTextPad is a specialized text editor designed specifically for free-writing. Key features include: Always on Top window, remembers Window size and position, invisible ink, built-in timer with sound alert, and standard Courier 10 points font. Version 3.0.5 Click to Register this Product Now! Version 1.0.149 Click to Register this Product Now! In this software program, the locations of the 48 contiguous states are taught in an interactive fashion. The user drags each state with the mouse to its proper location, and learns the capital as well. Identifying the state is also part of the fun. Version FEB.2006 Click to Register this Product Now! LanFast Screen Broadcast software is broadcast a computer desktop to other computers over lan. Version 1.26 Click to Register this Product Now! Speed reading joke. You don't need read all text. All texts contains more then 30% of garbage. Try to understand this and you can start speed reading. Use your imagine for reading faster. Find the moment read the text. Adjust reading speed for maximum enjoyment. Ability to concentrate on the problem is one of the constituent parts of the successful mental work. You can turn into a speed typist INSTANTLY with Quick-Type, the world's only typing automation tool. Stop typing - START LIVING! Quick-Type allows you to reclaim time to enjoy the things life was made for. Version DEC.2005 Click to Register this Product Now! Increase your average IQ score up to 40 %, develop a total genius mindset, become the quick-thinking humorous wit, astound yourself with your inner creativity! This new software is based on scientific method, widely used for neural networks training. Speed typing training. Adjust reading typing for maximum enjoyment. Ability to concentrate on the problem is one of the constituent parts of the successful mental work. Ensure Your Success At The CISSP Certification Today With CertGear's CISSP Practice Exam Simulator, The Most Effective Training Tool For The Certified Information Systems Security Professional Certification! Ensure Your Success At The CISA Certification Today With CertGear's CISA Practice Exam Simulator, The Most Effective Training Tool For The Certified Information Systems Auditor Certification! Version 8.0.0 Click to Register this Product Now! Make learning in the classroom a blast!!! The Game Show Wizard allows you as the teacher/presenter to input questions, answers and images (if you like) into a game show format and then pull them up into one of SEVEN games involving two to six teams. Make grading easy. PC Gradebook - The Teacher's Secret Weapon. Grading has never been easier than it is now. With PC Gradebook you can print five different style progress reports for parent communication and much more. Version 4.11.0 Click to Register this Product Now! High School/College ear training and music theory exercises.Uunlimited, graduated (easy to advanced), chord, pitch,interval, rhythmic dictation and music theory exercises with instant feedback, immediate scoring, and self testing. Use your keyboard faster than you ever imagined! With Active Typing for Windows touch typing tutor you will learn to type many times faster without typing errors. ActiveTyping contains a complete typing course with 14 chapters and Numpad course. Version 2 Click to Register this Product Now! Hands-free monitoring of networked classrooms becomes reality with Candid Check software. This latest addition to the teaching resources arsenal provides instructors with full control of computer laboratories, libraries and virtual classrooms. Carry the atlas everywhere! Detailed information about countries including location, neighbours, population, economy and military. See the map and flag of each contry of the World. Maps display country borders, neighbours, major cities and rivers. Learn to type in less than 6 hours. TypeSmart is the only truly ergonomic typing tutor, because it uses Direct Reach. This makes reaching the keys so much easier that the risk of pain or discomfort is significantly reduced. Ensure Your Success At The SCJP 1.4 Certification Today With CertGear's SCJP Exam Simulator, The Most Effective Training Tool For The Sun Certified Java Programmer Certification (CX-310-035)! With Plagiarism-Finder, any Windows-based PC with Internet access can be used to check files for exact phrase matching on the Web. Upon completing the scan, Plagiarism-Finder highlights suspect passages and includes links to matching Web pages. Quiz-Buddy is an award-winning program that makes it easy to memorize words, dates, etc. Exports quizzes to Palm PDAs. Adjusts to your way of learning. Great for improving vocabulary, foreign languages, SAT, GRE. Video demo available on our website. Licensed product version contains over 300 questions and explanations to prepare you for the CompTIA Network+ (N10-002) Certification exam. Software features include practice and testing modes, test scoring and review, and printed reports. We have over 3,000 professionally prepared business letters available on our site to assist you with your everyday business needs. 100% Satisfaction Guaranteed! Save time and money! Yours to keep forever! Quick software download! TypeBlaster is a DirectX 9.0 3D Space Flight Simulator that quickly improves your typing speed. TypeBlaster is a Video Game that makes practicing your typing fun. It is a 3D Space Flight Simulator that flys over the earth. Learn the essentials of your computer in the most efficient way, check your knowledge and practice without being limited by time boundaries. With My Personal Teacher, anyone can learn the basics of using Windows in a simple and attractive way. Pass-Guaranteed is the leader in IT Certifications that will Guarantee you will pass your 70-210 exam on Your First Try. For only $29.00, you can be rest assured of passing the 70-210 exam using Pass-Guaranteed, or Your Money Back!!! Pass-Guaranteed is the leader in IT Certifications that will Guarantee you will pass your 70-215 exam on Your First Try. For only $29.00, you can be rest assured of passing the 70-215 exam using Pass-Guaranteed, or Your Money Back!!! Pass-Guaranteed is the leader in IT Certifications that will Guarantee you will pass your 70-216 exam on Your First Try. For only $29.00, you can be rest assured of passing the 70-216 exam using Pass-Guaranteed, or Your Money Back!!! 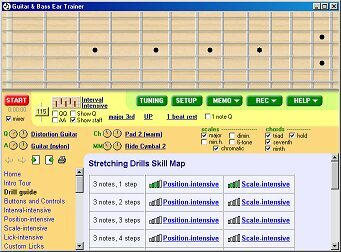 Teach yourself guitar quickly and easily. Learn chords, scales, and soloing. 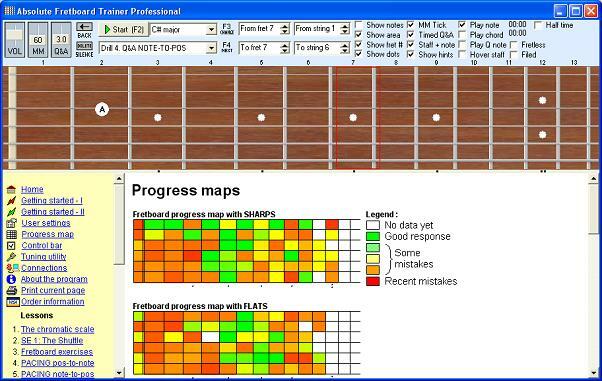 Total Power Guitar uses a unique style of teaching. You play music in the very first lesson, then learn to play chords, scales, songs, and also solo and write music. Instead of allowing your staff to play solitare in their breaks, simply install TouchType Champion and have your staff learn to touch type and then compete against each other for the recognition of being the champion in the office. Converts PowerPoint presentations (static and animated presentations, with sounds) to Flash and instantly delivers your Flash presentation in an interactive e-learning platform, compatible with Internet, intranet, CD-ROMs, or LMS. Ensure Your Success At The SCWCD 1.4 Certification Today With CertGear's SCWCD Exam Simulator, The Most Effective Training Tool For The Sun Certified Web Component Developer Certification (CX-310-081)! This program will keep track of students extra-curricular and academic achievements. It will award points depending on the maximum number of hours, minimum points granted, and max obtainable points. Version 4.167 Click to Register this Product Now! Version 2.5.2 Click to Register this Product Now! Macbeth taught scene by scene, with the text, dramatic audio readings, geography, movies, questions, immediate feedback, and teacher-friendly scoring, with a focus on language devices and Shakespeare's historical sources. Beowulf taught, with the unabridged text, dramatic audio readings, images, questions, immediate feedback, and teacher-friendly scoring. Learning how to read musical notes and sheet music is easy and fun through this software .Step by step note teacher is comprehensive tool for learning ,practicing ,enhancing abilities of reading musical notes. Version 1.4 Click to Register this Product Now! A new typing tutor which offers unique motivation, entertaining tasks carefully elaborated for distance education, effective tips for speed increase, helpful recommendations, personalized support for registered users. Easy to register on-line. $15. A Russian typing tutor based on a profound psychological approach which takes into account the basics of distance education. Video, audio, and fun guaranteed. The author is a famous journalist Vladimir Shahidzhanyan. Award winning router simulator for CCNA exam (640-801,640-607 & more). Includes FREE CCNA exam router simulation lab. Practice with configuring Cisco� networks through router simulation based virtual labs.Supports over 200 IOS commands. Version 1.42 Click to Register this Product Now! 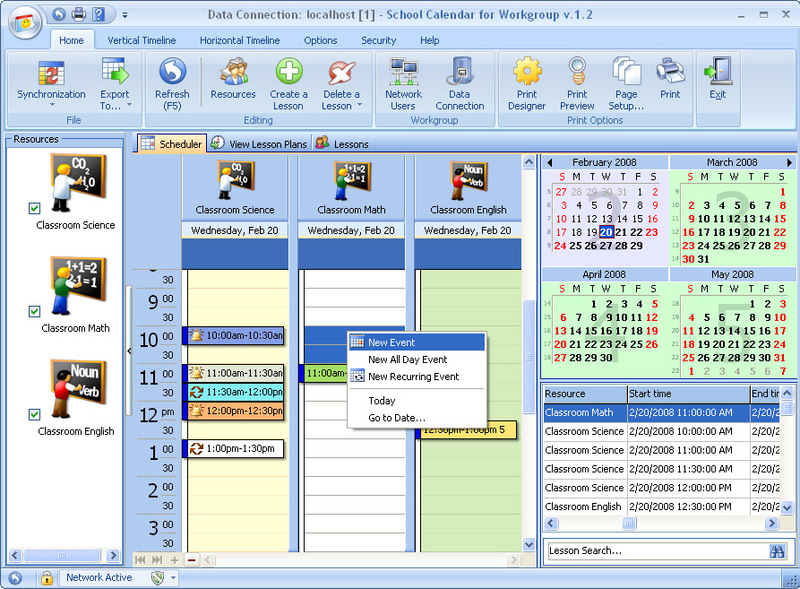 Attendance Keeper is meant to be a desktop application to facilitate educational personnel to keep track of student�s attendance. I came up with this application based on my own experience as a teacher who used to conduct numerous classes. I-Ching Insider presents an interactive tool based on the I-Ching, or Book of Changes. 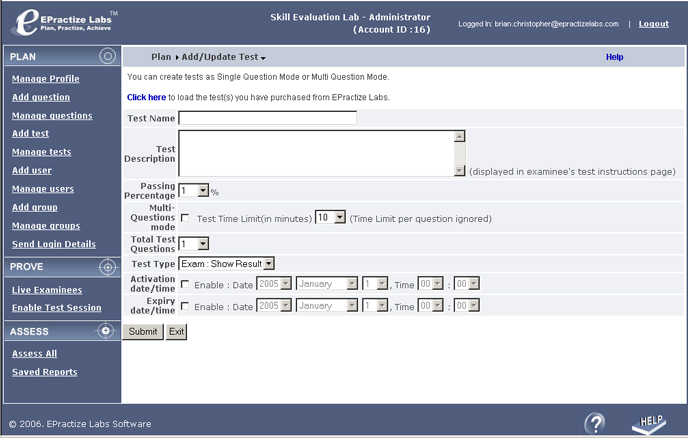 Users can submit queries and view results by entering information in the program. I-Ching Insider offers advice based on the 64 hexagrams in the Book of Changes.